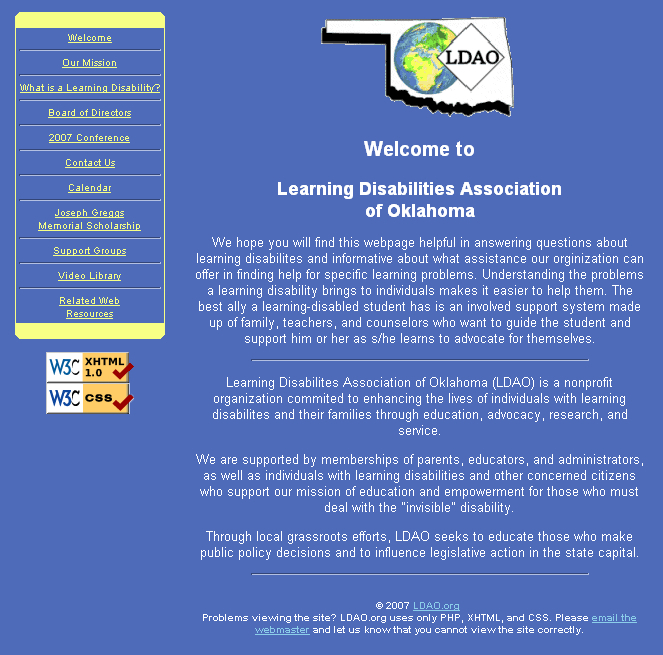 A friend of mine who works for this non-profit asked if I could fix the organization's website. 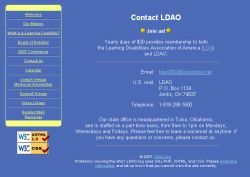 The previous webmaster left a mess of unmaintanable code buried in multiple nested tables and chose a very strange neon pink-on-purple scheme, which contrasted pretty badly with LDAO's logo. 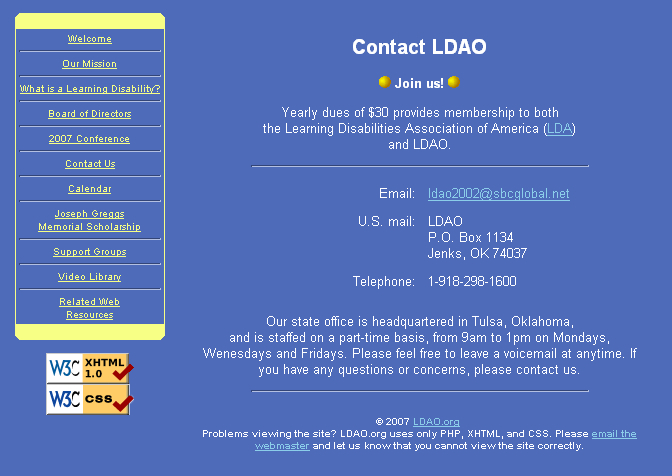 I threw out the original code and re-designed the site from the ground up using colors picked from their logo.